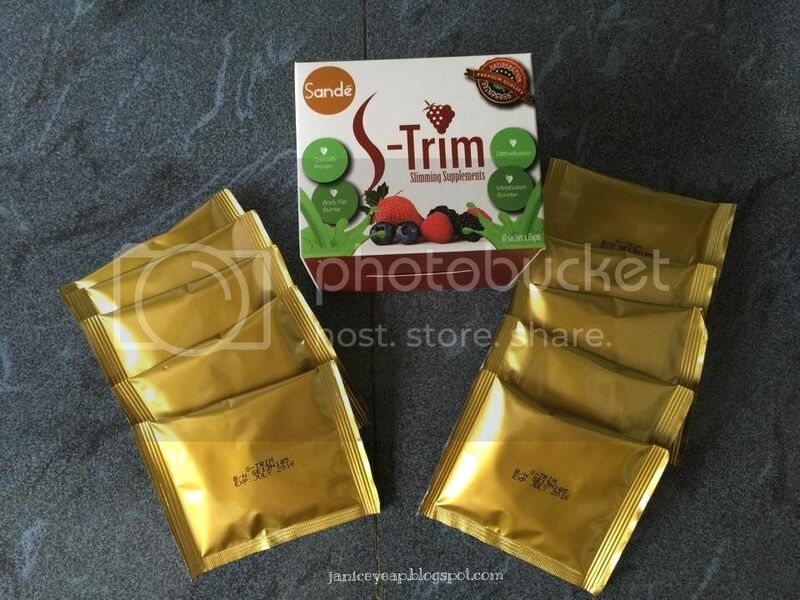 Recently I came across this slimming supplement which is clinically proven to burn body fat and at the same time detoxify the toxins out from the body. 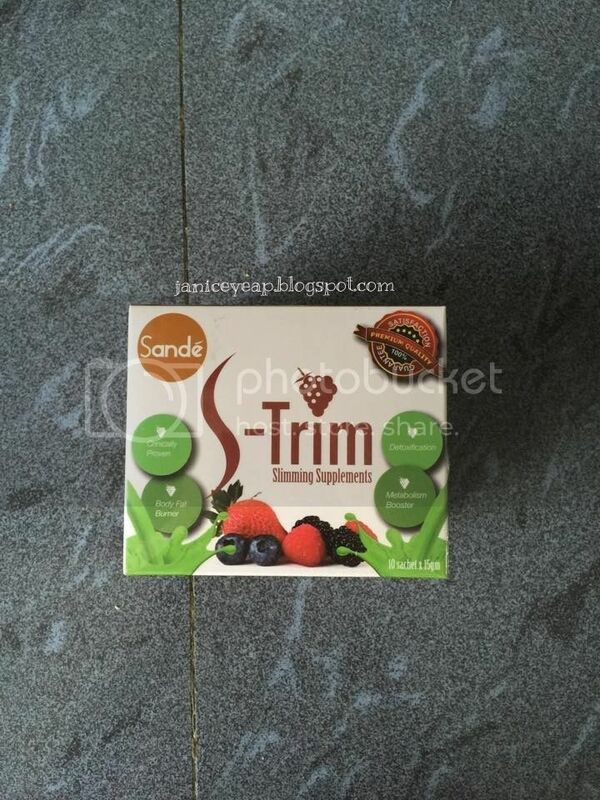 Introducing S-Trim Slimming Supplement by Sande, a slimming drink which contains most of the natural extracts from mix berry, white kidney bean, aloe vera, barley grass, chlorophyll and etc. Each box comes in 10 sachets which can last you for a 10-day program. All you have to do is to mix the drink into a glass of 250ml water.
" 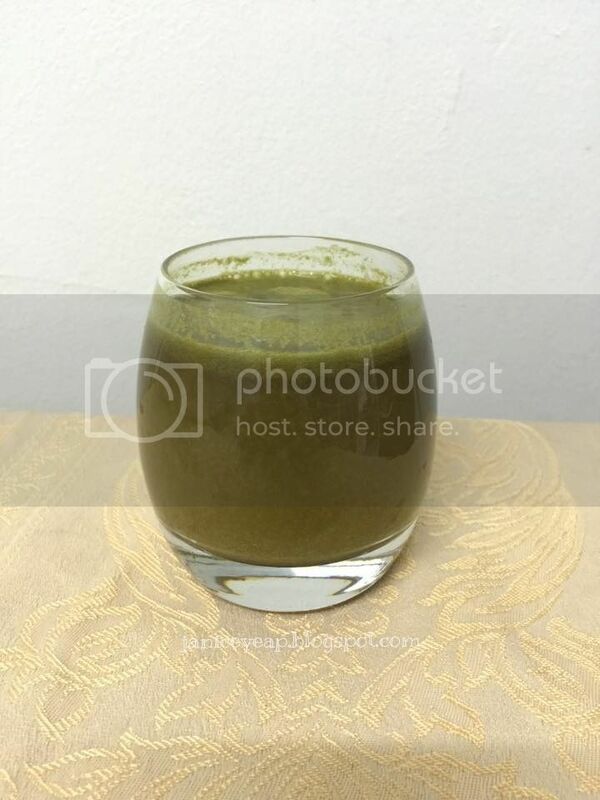 At first, I thought this is an ordinary slimming supplement which only helps to detoxify the toxins out from body. I was wrong. Every morning I consume this after breakfast and it hurts a little after 6 hours especially the tummy. 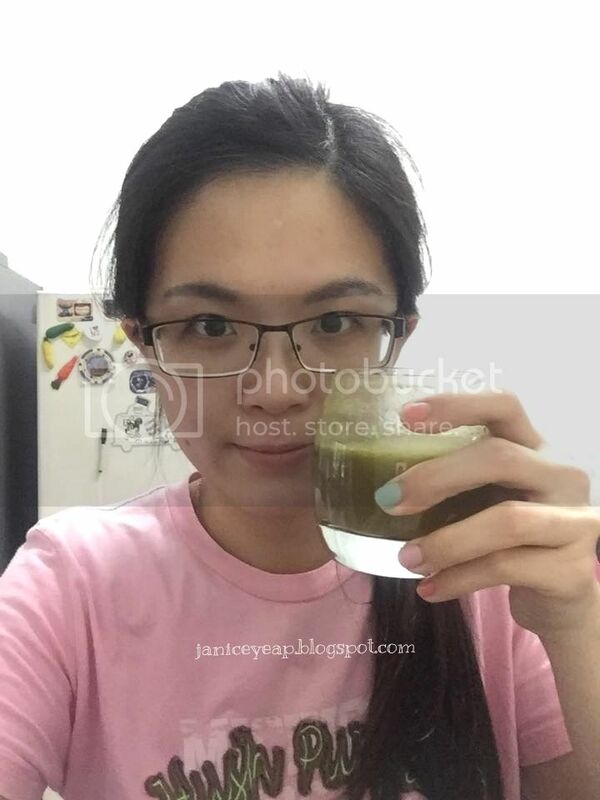 The drink started to react with my body and I find that it started to detoxify all the toxins from my body completely. What I like the most is that my tummy feels healthy and fresh as if you had just gone through a thorough cleaning of tummy which make me feels great every day. Best of all, tummy starts to flatten a little bit compared to before and I feel great after this! Be sure to drink a lot of water to see the optimal results. It increases my metabolism rate and I feel the body fat is burning after a while. I constantly feels hungry but I only consume food in small portion as I want to maintain the size of my body and reduces the food intake. When I look at food which is oily, I tend to skip it as I want to look great and healthy. 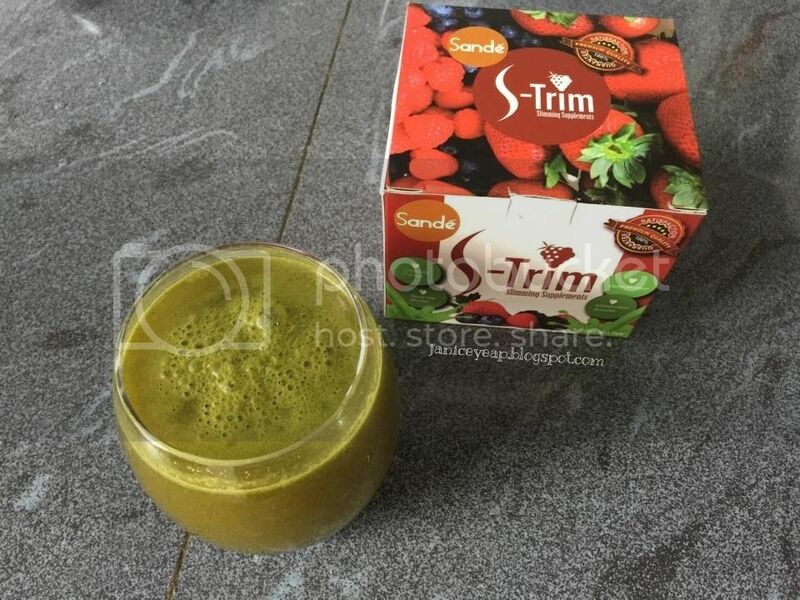 What's the point of taking S-Trim Slimming Supplement if you do not take good care of your food intake? However do take note of the time you drink because it reacts to my body approximately 6 hours. If you are planning to go for outing the whole day, I would suggest you to skip it as it might ruin your activity. I know whether it works the same on every individual. But it works this way on me. So nowadays I try to consume it whenever I do not have to go out to meet my clients as it's really inconvenient to look for toilet when you are outside travelling. Overall I am satisfied with this slimming supplement. Thumbs up to this S-Trim!" Disclaimer: Photos taken above are taken by iPhone 6 Plus and not edited. The product was sent to me for review purposes. However this does not affect my judgement in the review in any way and all opinions expressed are solely my own.